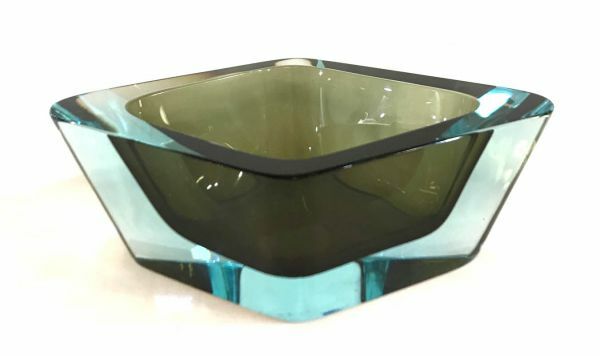 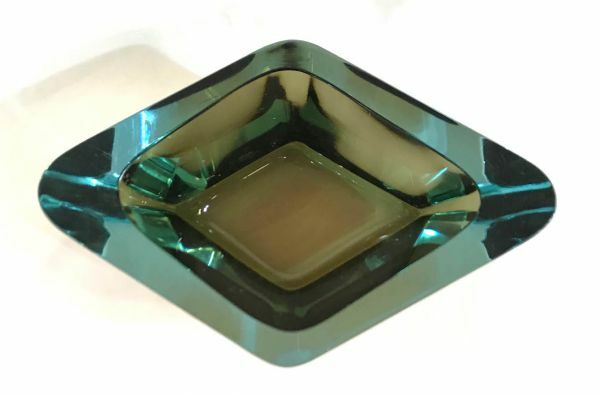 Mid-Century Modern art glass bowl in a beautiful aqua colour with a brownish green quartz interior. 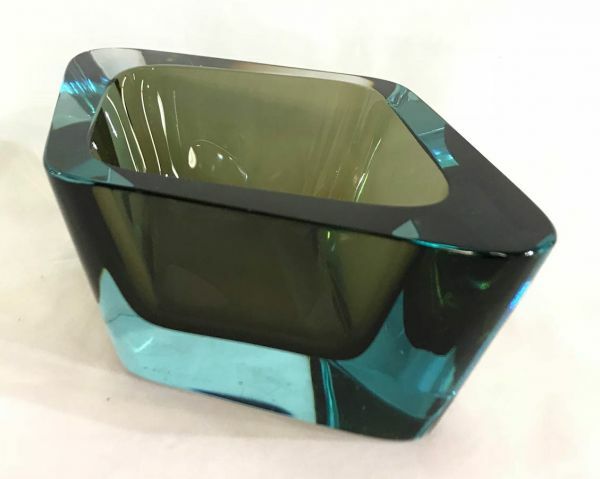 Unsigned, likely Moser, circa 1960. 9 1/2” by 6 1/4”, 3 1/4” high.